I just opened a bag of Skittles and it only had yellows and purples in it. What did I ever do to deserve this!? And yes, I'm going to title all of my post using caps lock today. I just watched the True Blood Season 2 Finale, and it was every bit as good as I had hoped. Now, I am finally free from its death grip, and I can get back to being a medical student again. I'd like to take this moment to thank Megavideo and VReel for turning my dreams into a reality. You are truly the best friends I could ever ask for... which might explain why I've chosen for the past two weeks to spend my free time with you rather than with my human companions. I hope to one day be able to return the favor. Titan found an ant, followed it around for a minute, stepped on it, and then licked it off of the ground. WHAT IS WRONG WITH ME!? I have watched six episodes of True Blood in the past two days, and right now I'm about to start watching another one. I literally cannot stop myself. It is an addiction. Somebody, please help me before I fail out of medical school. 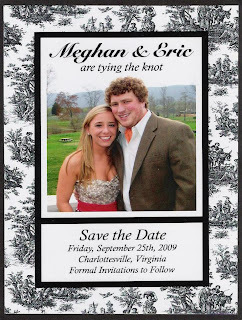 Yesterday, I attended the wedding of Meghan and Eric, who, despite the looks of their photo announcement card, are NOT the couple from Knocked Up. The service was beautiful, the reception was classy, and the food was delicious. In other words, it was the perfect wedding, except for the part where I only knew five of what must have been 300+ guests. Having been the medical school social co-chair for so long, I had kind of forgotten what it was like to be at an event where I'm not in control of the environment around me. I certainly was not prepared for the sea of Lily Pulitzer dresses and Vineyard Vines ties. I also had a really hard time keeping all of Eric's friends from Kappa Sig straight, because their identical frat shags made them look eerily similar. Sigh. So embarrassing. Last weekend, we celebrated Heidi and Chrissy's birthdays by having a Family Feud game night. I have to give it up to Matt and Tina, who did an amazing job compiling the categories and running the event. Some of the rounds included topics like "Most Popular TV Doctors" and "Most Popular Mixed Drinks." My favorite categories by far, however, were the ones put together by Matt's friend, Justin. Matt gave Justin access to the Student Source, where everyone's hospital ID photos are posted, and asked him to list the "Top 10 Stoners" and the "Top 10 Nerds" in our class based solely on our pictures. While I would normally post all of Justin's rankings and explanations, some of them are, well, a little too offensive. In light of all of the recent articles on medical students' unprofessionalism, I will only post his reasoning behind my nerdiness. 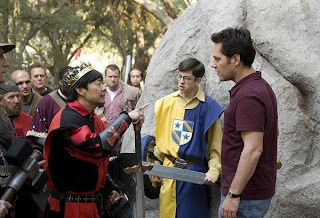 Xian Zhao. I bet he loves scrabble. Look at his name! Find a triple word score and…well you get the point. But I bet he’s a ton of fun drunk. Wow. Was Justin my best friend in a past life, or do my looks really give away that much about me? Welp, it's time for me to drive back to Richmond. I'm giving a presentation on my Lesotho trip at my church tonight, and we're having spaghetti for dinner! I sure do miss me some good, old-fashioned Baptist cooking. Too bad neither of my parents will be there to support me since my mom is in China and my dad is leading Bible Study for the VCU students downtown. FML. *Thanks to John, whose life is never effed. Well, I guess there are many reasons, but the one I'm thinking of right now is the fact that he doesn't know how to avoid obstacles in the sidewalk. Today while we were running, we happened to pas a bus that was letting its passengers off at Shamrock Road. I kept going straight, but Titan moved slightly to the left instead of staying in front of me. The leash stretched across the sidewalk and almost knocked a girl over, but I managed to let it go just in time before pulling her legs out from underneath her. Now that I think about it, he also almost killed me today on our way back when he started chasing a squirrel across the street while both of my feet were off of the ground. In fact, if I die before graduating from medical school, it will probably be from running with Titan. I want this, this, this, this, and this. Is this what happened to Oceanic Flight 815? This just makes me laugh. I may be known by all of my friends as the guy who takes all of the pictures, but things were not always this way. 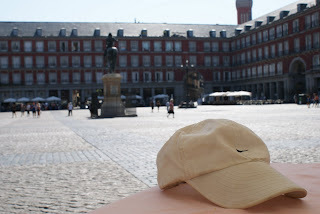 In fact, I didn't even own a digital camera until my trip to Europe three years ago. It may be hard to believe, but I only have 64 photos from the entirety of my first and second years in college. Compare that to the past seven days, during which I took 162 pictures. My, how times have changed. Sometimes, I wish I weren't so attached to my camera. Sometimes, I wish I could just live my life without documenting every high (and low) moment in my life. But then I leave my camera at home for one day and something HILARIOUS happens, and I immediately regret my decision. I guess that it's time to stop denying my true self and accepting my destiny as The Guy with the Camera. We had our "monthly" CMA potluck at the home of Dr. and Mrs. DeBoer. I put monthly in quotes because I can only remember having two or three in the entirety of last year. Anyway, tonight's theme was "Mexican Feast," and we had everything from guacamole to rice and beans. I was most pleasantly surprised, though, when I came across a stack of soft tacos and supreme burritos from Taco Bell. Apparently somebody had gone to the fast food restaurant, ordered a bunch of items off of the menu, and brought them all to the potluck. I have to say, it was a pretty ingenious (and delicious) move. It's been a long time since I've Late Nighted at Claude Moore Health Sciences Library. Fondly do I recall the times when Nosheen, Angie, Cameron, and I would study (and by "study" I mean "complain and sometimes gossip") in the Fishbowl room of the library's 24-hour section. Tonight I was here to take the Micro quiz, and with that out of the way, I can concentrate on catching up in Path and Pharm this weekend. Oh, JOY! Oh, and guess what, Sunny: your ingenious little ploy did the trick! Why, Nosheen, why?? Why did you show me this website when you knew I had so much work to do? Tonight is the season 5 premiere of It's Always _____ in Philadelphia. Sunny, this one's for you. 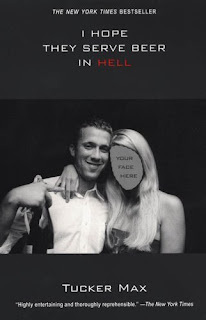 Remember when Tucker Max came to visit UVA? Well, now they're turning his "bestselling" (really?) book into a movie. And it comes out in theaters next Friday. How did I not hear about this earlier? 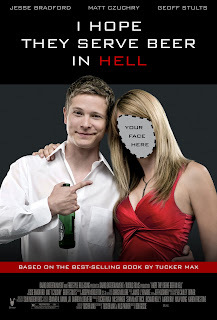 I kind of hate Tucker Max as a person, but I am curious as to how he was able to turn his tales of drunken misadventures into a major motion picture. I had to leave class after the first Microbiology lecture because it was literally the worst. And I really mean it this time. I just could not handle hearing about C1qs or C2as or C4b2as or C3bBbs anymore. Instead, I opted to take a nice, hour-long nap at the library, during which I had yet another frighteningly vivid dream. This one started out as a movie. It even had the Paramount logo at the beginning, with the 22 stars flying towards the pyramidal mountain. This was followed by an extremely cheesy opening credits sequence which culminated in the title of the film: Girls and Om Nom Noms. I kid you not. I can't recall the details of the dream, but I remember it involved me, well, pursuing girls and om nom noms. Seriously, is everybody else's subconscious as weird as mine is?? EDIT: It's C3bBb, not C3Bb. Thanks for the catch, Sunny. I'm sure you've all heard about the Kanye West incident from the VMAs last night (wait, people still watch the VMAs?? ), and apparently every celebrity in the world has tweeted (I hate that word) about it. However, did you know that it's not the first time he's interrupted a speech to promote Beyonce's Single Ladies music video? Inspired by Harris, Garrett, and Russell's (unrelated) visits to Charlottesville this weekend. 1. Remember when Watson, Dobie, and Balz were still dorms? 2. Remember when Wertland Square Apartments was the Wertland Street parking lot? 3. Remember when everybody got sick from drinking margaritas at Amigo's on the Corner? 4. Remember when we went to basketball games at U-Hall? 5. Remember when the website for Facebook was www.thefacebook.com? My favorite superhero when I was growing up was Spider-Man, but that has nothing to do with why I didn't kill the spider that I found in our bathroom the first time I saw it. I hate having bugs in the house, and I figured our resident arachnid would take care of any that would dare to wander inside. After a week of waiting, my plan has finally come to fruition. 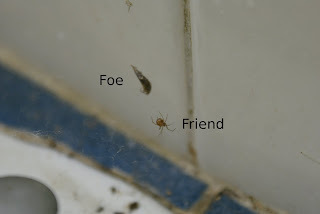 I went to go brush my teeth tonight, and lo and behold, my eight-legged friend had captured an insect in his web and was preparing to consume it! It's like watching Planet Earth in life-size 3-D. And I love it. All in all, I'd say it was a worthwhile night. Harris, sorry for scaring you by backing up too fast in the parking lot. I promise to be a safer driver the next time you come visit, as long as you promise to let me know that you're in town before 10:18pm. You always hear stories about varsity athletes who, sometime after they graduate, begin letting themselves go. Before you know it, they're 30 years old and 80 pounds overweight. I never understood how people could let this happen until I looked back on my own diet over this past month. On the bright side, I got the very last gallon of skim milk at Kroger yesterday (sorry, Ed). Mmm, delicious AND nutritious! I hate it when people shake their heads and sigh audibly. The lady sitting at the computer next to me at the library is doing it right now. For the 53rd time in the last ten minutes. EDIT: Now she has begun to mutter under her breath. God, grant me patience and understanding. I have been trying to see District 9 for a good week and a half, but my plans kept on being thwarted by Josh. First, he forgot that he had his POM Pulmonology Lab last Tuesday, and then he had to pick Katie up from the airport in Richmond last Friday. After the long wait, I was afraid that I had hyped the movie up too much in my own mind and that I would ultimately be let down by it. Luckily, my fears were unfounded and after watching District 9 this afternoon, I have added it to my list of favorite movies on Facebook. That's how you know I'm for serious. 3. Aliens making explosions... check! 1. Sam uploads and captions something between two and twelve Facebook albums worth of photos. 2. Angie and/or Nosheen tag the photos in record time. 3. Sam goes back through and tags people that Angie and/or Nosheen are not friends with WHILE Angie and/or Nosheen begin leaving comments. 4. The question, "What is going on in our lives!?" 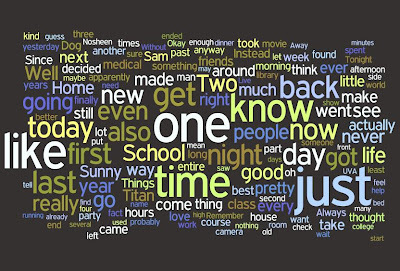 is uttered back and forth several times over Gchat. Can't wait for next Sunday night. There's no other way to properly celebrate Labor Day than by running the board at the Virginian, which I daresay was simultaneously the best and worst decision of my life. What I mean is, I had a great time... until I woke up this morning and had to deal with the destruction that Hurricane Sammy Z had left on Facebook. I WILL NEVER FORGVIE YOU YES HAHAHAHAHAHH I WIL DESOTROY YOU NOW. why :( why is this hahpppening och. AAHHAHAHAHAHHA you know that i hit you only because you are the best and im sorry but i know that i love you and the feeling is mutual so please dont be mad i had to backspace so many times ok so yes you are my best friend DONT BE MAD IM SORRY ok bye. Instead of mourning the UVA football team's humiliating loss to William & Mary, I have decided to spend my time focusing on the hilarious/absurd things that happened today. Where shall I begin? 1. Using Maggie the Horse to retrieve the ladder golf balls from the tree branch. 2. Eating my entire burrito and a quarter of Angie's meal and half of Nosheen's meal at Qdoba for dinner. Thanks for bearing with me, lower esophageal sphincter. 3. 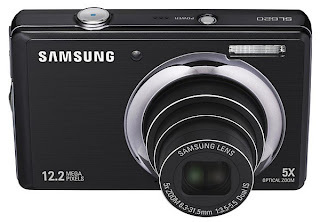 Taking countless photos tonight using my camera using the "Smile Shot" function. 4. Finding my class ring, which I thought I had lost earlier this week. I really need to stop misplacing my valuables. I just received an e-mail from First Car Rental, the company that I used for my two road trips while I was in South Africa, informing me that I had been caught speeding on camera in Jo-burg. However, the attached invoice made no sense whatsoever and was basically just a jumble of words and numbers. I tried to uphold the Honor instilled in me at UVA and e-mailed them back asking if I was supposed to take any action, but the reply they sent made even less sense and had no information on how to actually pay the fine. Since I could care less about having an outstanding traffic ticket in South Africa, I may just choose to ignore the fact that anything happened at all. You'd better stay away from me, though; I'm a fugitive from the Law. Remember two weeks ago when I got a new camera? Well, this may come as a shock to you, but I just got another new camera. My last one got water damaged in the torrential downpour we experienced while tubing on the James River, so I had to turn it in and cash in my warranty for this one. It's cheaper and surprisingly better than both of my last two Canon PowerShots, because it has a larger LCD monitor, greater zoom power, more preset scene modes, and -- get this -- I can charge it by simply hooking it up to my computer. GREAT SUCCESS! Having a new camera is fun and all, but it also reminds me that one of my goals in life is to invent a digital camera that sits in the frame of your glasses and takes a picture of exactly what you happen to be looking at. Any potential investors out there interested? Sam's white Nike hat was last worn on the evening of September 1, 2009. It was last seen the next afternoon, whereupon he decided he would need to wash it later that evening. Somewhere in between 3:30pm and 9:30pm on September 2, it went missing. If you have seen the hat at Azalea Dog Park, the Claude Moore Health Sciences Library, or the Mulholland Lounge, please contact Sam ASAP. Thank you for your help. Gmail has not been working for the past half hour, and I am not amused. I DON'T HAVE TIME FOR THIS, LARRY PAGE! Coop made me call Google to find out what was taking so long for them to get it back up and running, so I dialed their customer service line at 1-650-253-0000. I even got kind of excited to be able to talk to Google (!! ), but then the machine prompter told me that Google does not offer live customer service at this time. Google, you have let me down twice in one day. I never expected this from you!